Visit the Vatican Museums, Sistine Chapel and St Peter’s Basilica on this guided Vatican walking tour, in a group of no more than 20 people! 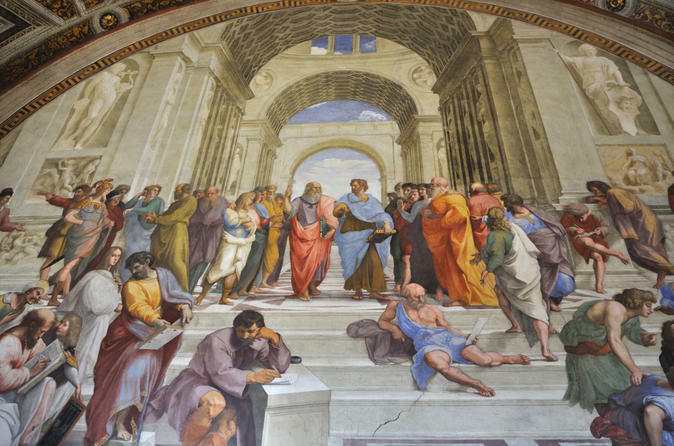 See Raphael’s Rooms, Gallery of the Maps and more, and then step inside the Sistine Chapel to see Michelangelo’s fresco ‘The Creation of Adam.’ Finish with a St Peter’s Basilica tour and hear the secrets of the holiest place in Christendom. Choose from four different start times or upgrade to a small-group tour (12 people maximum). Skip the long lines for St. Peter’s Basilica with special access directly from the Sistine Chapel. 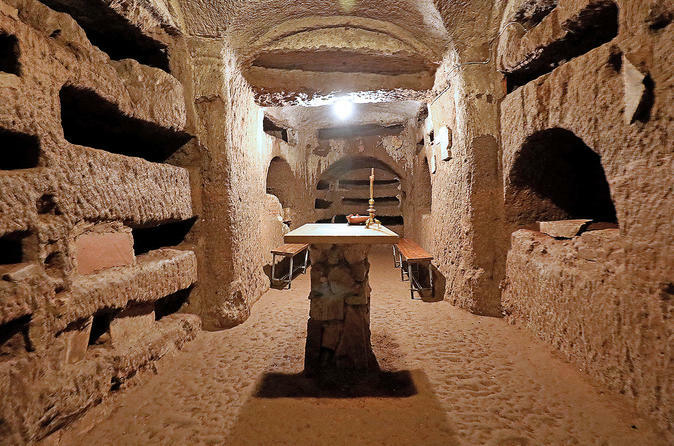 Due to a new Vatican partnership, this tour provides VIP access through a reserved door, allowing you to skip all the lines – even the priority lines. Leave the crowds behind and head straight inside the Colosseum with your skip-the-line entrance ticket! 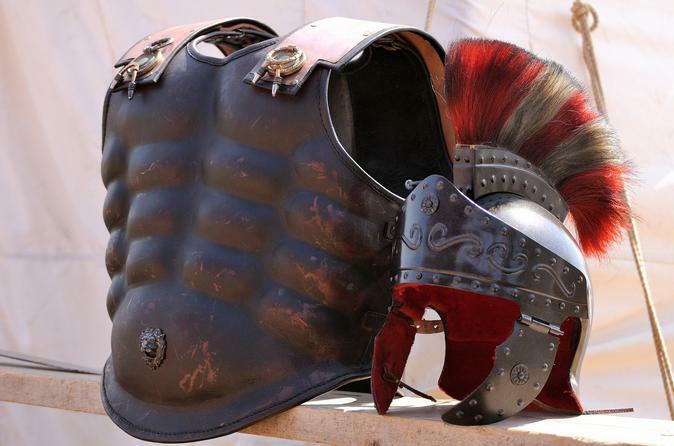 In a group of no more than 25 people, explore the first and second tiers of this A-list attraction with a guide, learning about the gladiators who competed in the Colosseum’s gory gladiatorial games. Finish with a tour of the Roman Forum in Ancient Rome and admire incredible ruins, like the Temple of Julius Caesar. If you want to see the Colosseum Underground Chambers, Arena and Upper Tier, then upgrade! – These areas that are either newly opened or normally off-limits. See the highlights of Vatican City with an expert guide, visiting the Vatican Museums, Sistine Chapel and St Peter’s Basilica! After paying your entrance fee direct, head inside the world’s largest collection of private art with an expert guide, and see for yourself why the Vatican is a mecca for millions of travelers. Explore intriguing sites like Raphael’s Rooms and then visit the Sistine Chapel to see incredible frescoes by Michelangelo. Finish with a tour of St Peter’s Basilica, and see the beautiful ‘La Pieta’ sculpture while learning about it from your guide. 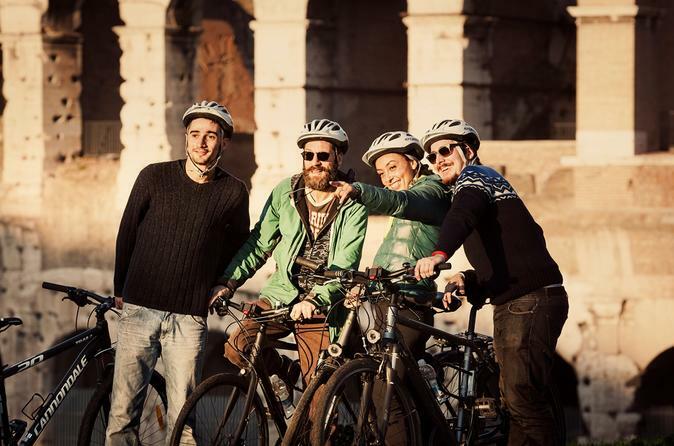 Choose from a selection of different start times or upgrade to a small-group tour (12 people maximum). 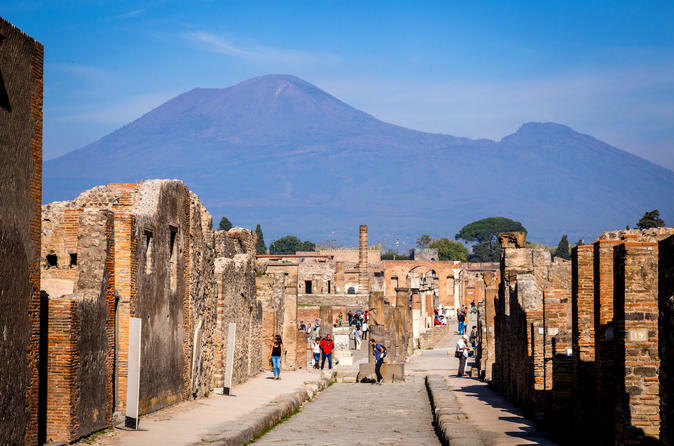 Hike up Mount Vesuvius and then explore the UNESCO-listed ruins of Pompeii on a must-do day trip from Rome! Going at a steady pace, the hike includes a walk on the ridge of Italy’s famously feisty volcano, allowing incredible views down into the crater itself. After a pizza lunch, head to Pompeii to see the havoc that Mount Vesuvius reaped on it in AD 79. Tour the UNESCO-listed excavations, seeing fossils and well-preserved ruins while hearing the horrors that befell this intriguing ancient city. Mt Vesuvius is inaccessible from November 20 to March 31. During this time, the hike is replaced with a visit to the iconic City of Naples. We’ll take a panoramic bus tour and have some free time to walk around the city centre. 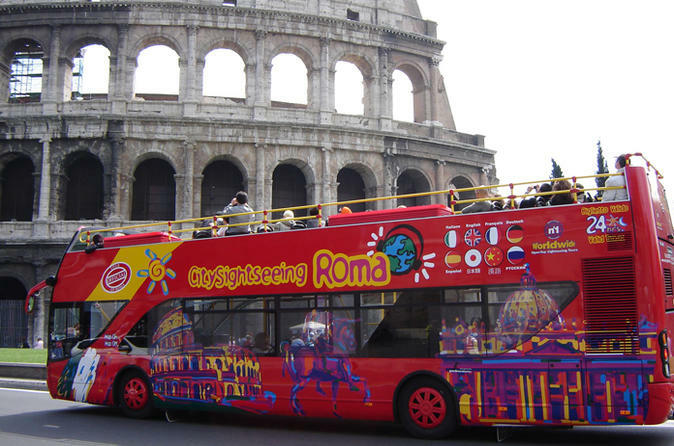 Let the sights of Rome unfold before you on an open-top, double-decker, hop-on hop-off bus. Climb aboard to admire top Rome attractions including the Vatican City, Colosseum and Trevi Fountain on this comprehensive tour. Enjoy 360-degree views from the open deck and hop on and off as you wish at any of the eight stops. 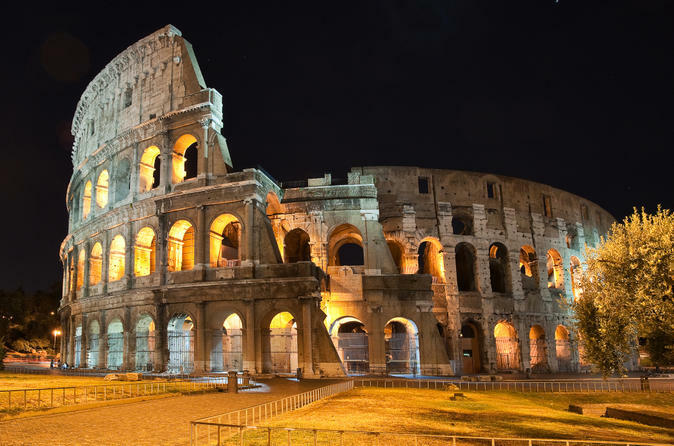 Choose 24 or 48 hours of sightseeing, and if you opt for a 48-hour ticket, upgrade to include entrance to Rome’s showpieces such as the Colosseum, Roman Forum, Vatican Museums and Sistine Chapel. See the highlights of the world-famous Vatican Museums in one morning on this intimate, small-group Vatican walking tour! Starting early in the morning to beat the heat and crowds, you'll skip the line and head straight inside with your priority access ticket. Led by an expert Vatican guide, your comprehensive tour visits the sacred Sistine Chapel, Raphael's Rooms, St. Peter's Basilica and more! 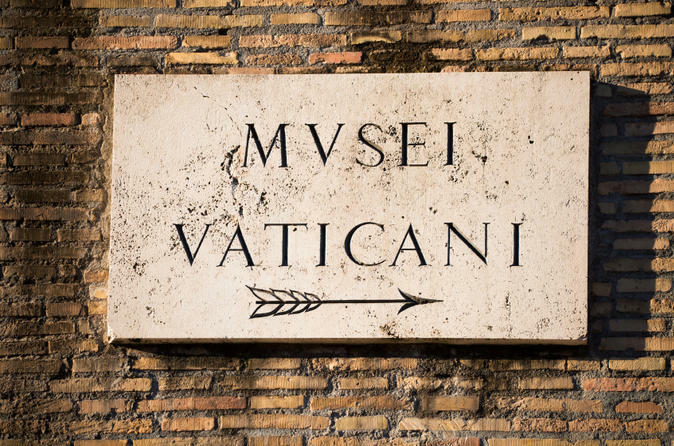 Due to a new Vatican partnership, this tour provides VIP access through a reserved door, allowing you to skip all the lines – even the priority lines. Numbers are also limited to just 12 people on this unique Vatican tour, ensuring you'll see the very best of the Vatican Museums in a small-group atmosphere. 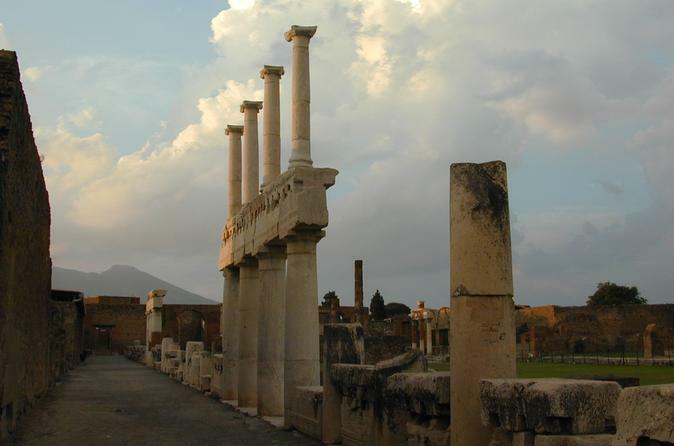 Combine a trip to Naples with a tour of Pompeii’s ruins on a full-day excursion from Rome! From the comfort of your coach, see the sights of Naples, admiring the Royal Palace, Castel dell’Ovo, Piazza del Plebiscito and more. Hear tales of Bourbon kings who once ruled the city, and then travel inland to visit Pompeii. Stop for lunch and then tour the UNESCO-listed ruins, seeing incredible monuments that lay undiscovered for centuries. Use your skip-the-line Vatican Museums ticket to explore one of the world’s greatest museum complexes at leisure! A veritable Aladdin’s Cave, the Vatican Museums teem with history at every turn, glistening with magnificent Renaissance art and architecture. 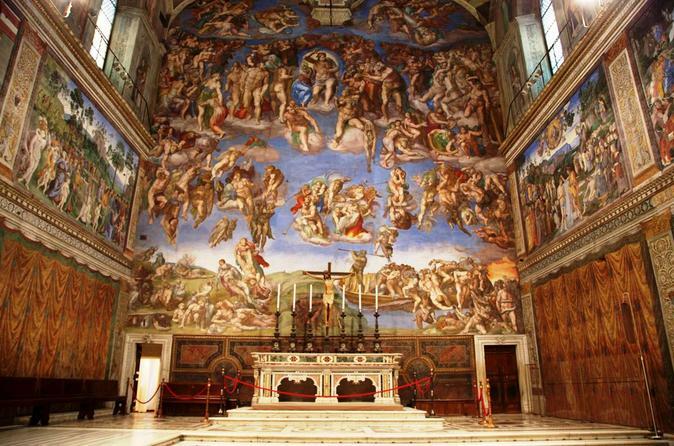 Queues are long, so skip past them with your fast-track ticket and then spend as long or as little as you like inside, seeing sites like Raphael’s Rooms and the Sistine Chapel — home to Michelangelo’s 'The Last Judgement' fresco. Upgrade your ticket to include a small-group guided tour (maximum 20 people), and put the dazzling sights of the Vatican into historical context. Visit the Colosseum, Roman Forum, Capitoline Hill and Rome’s ‘centro storico’ (historical center) on this must-do Ancient Rome tour. 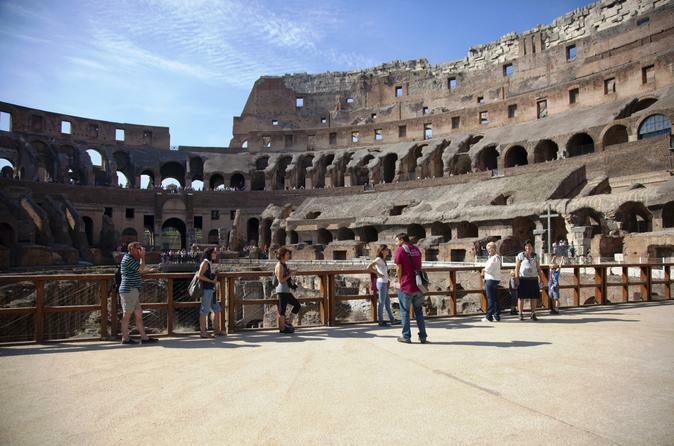 The 3-hour Rome walking tour offers the perfect introduction to the city’s tumultuous history. Hear tales of gruesome gladiator combat while exploring the Colosseum’s second and third tiers; learn about monuments like the Regia inside the Roman Forum; and enjoy photo stops at Rome’s big-name attractions such as Trevi Fountain, Piazza Navona and more! Choose between a standard tour (maximum 25 people) or a small-group tour (maximum 12 people) for a more personalized experience. 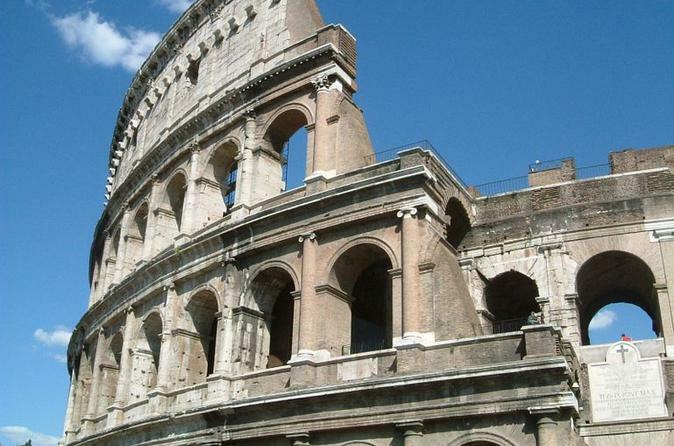 Entrance fees to the Colosseum and Roman Forum are not included on this tour; simply pay on the day. See the highlights of Rome on this unforgettable day of sightseeing, combining two best-selling guided tours at a discounted price! 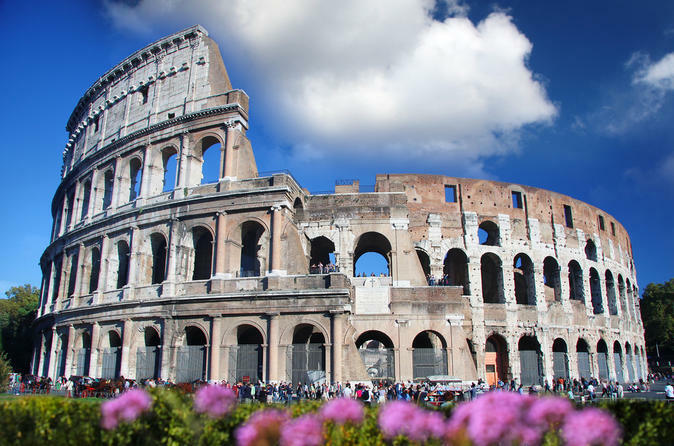 This small-group, full-day Rome Super Saver starts with a skip-the-line tour of the Colosseum and Ancient Rome, including the incredible Roman Forum. 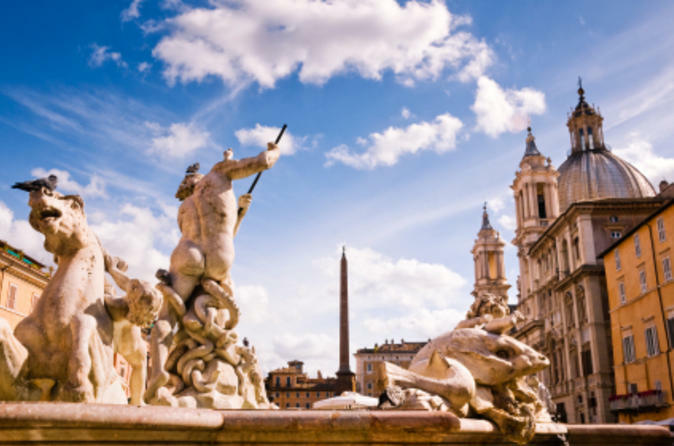 After your first tour, explore independently before spending your afternoon on a leisurely walking tour past top Rome attractions, such as Piazza Navona, the Pantheon, Trevi Fountain, the Spanish Steps and more! Numbers are limited to 25 people on this Super Saver tour, ensuring you'll see the best of Rome in a small-group atmosphere. Even better, enjoy up to 10% discount, depending on the option chosen, when you buy these combined tours. Take this incredible Rome day trip to the Amalfi Coast, and discover the dreamy coastal scenery that typifies this stunning area of southern Italy. 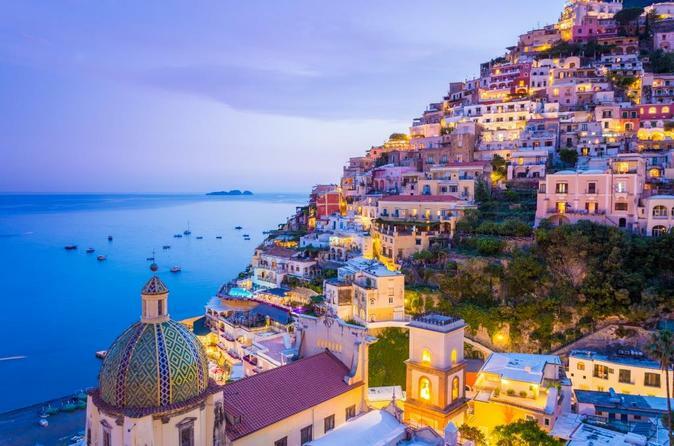 Spend time at leisure in the picture-perfect towns of Amalfi and Positano, and then head to the UNESCO World Heritage Site of Pompeii –the ancient town that was blanketed beneath a sea of Mount Vesuvius’ volcanic ash for centuries. Numbers are limited to seven on this small-group tour, ensuring you’ll enjoy personalized attention from your guide. 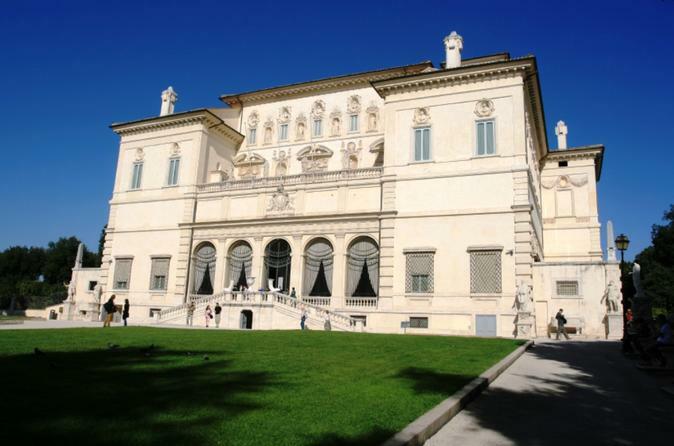 Book your Skip the Line: Borghese Gallery and Gardens Walking Tour ahead of time to take advantage of jumping the queue with reserved tickets. Upgrade your experience with a private tour exclusive to just your group, available with morning and afternoon departures. 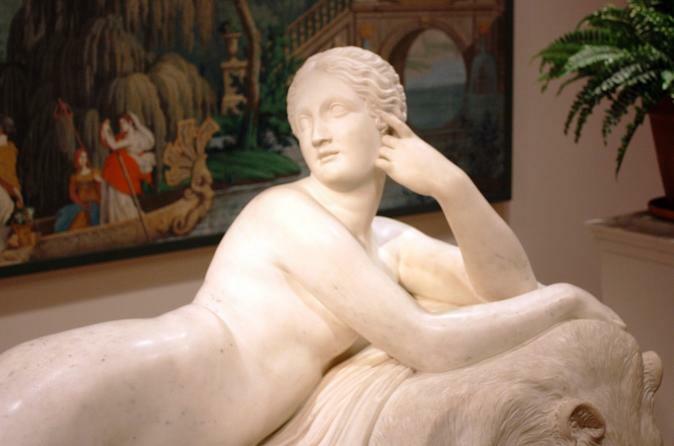 Please be advised that the Borghese Gallery regularly sells out a month in advance. See the sights of Ancient Rome by Segway on a 3-hour tour, passing incredible monuments like the Colosseum, Roman Forum and Circus Maximus. 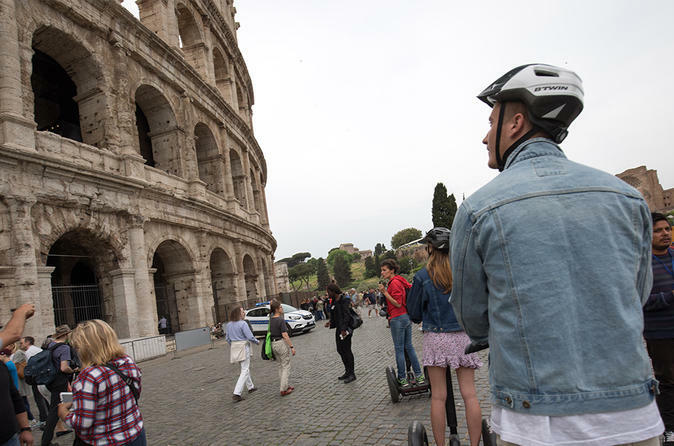 On a self-balancing electric scooter, follow a guide around Rome’s 2000-year-old ruins, while hearing their history from a live guide. Stop for photos by iconic sites and test Rome’s very own ancient lie detector – the Mouth of Truth (Bocca della Verità)! This small-group tour is limited to eight people, ensuring you’ll receive personalized attention from your guide. 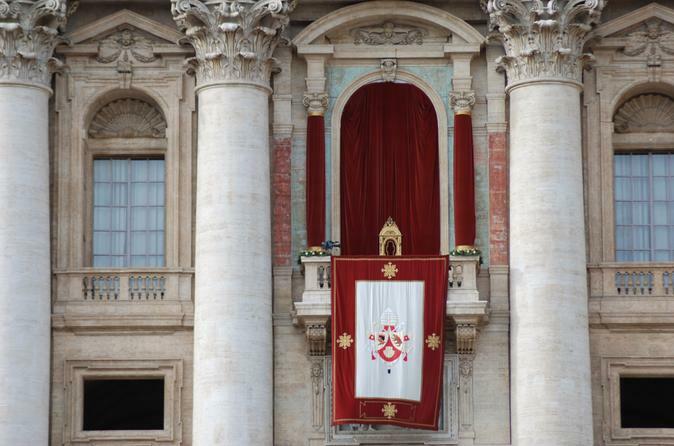 Mark your visit to Rome with special tour of the Vatican and Rome’s patriarchal basilicas. After a skip-the-line tour of the Vatican Museums, step inside the Sistine Chapel and then behold your first major basilica of the day: St Peter’s Basilica. Visit the Basilica of St Paul Outside the Walls, the Basilica of San Giovanni in Laterano and the Basilica of Santa Maria Maggiore. 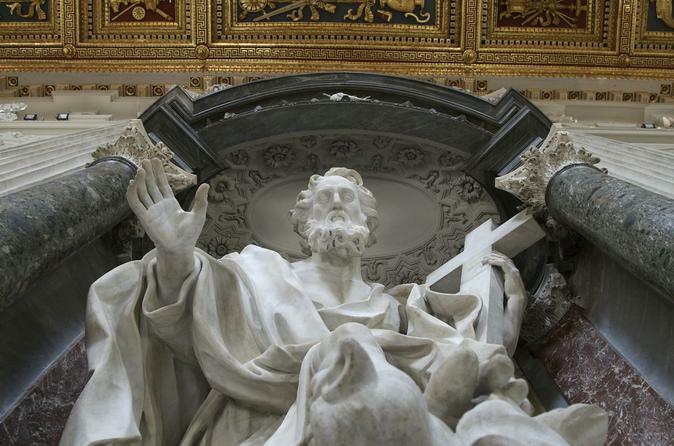 See Bernini’s tomb, the Santa Scala. Enjoy a morning or afternoon of Vatican splendor on a 2-hours skip-the-line tour of the Vatican Museums, Sistine Chapel and St Peter’s Basilica. Explore the Gallery of Maps, Gallery of the Tapestries and Giuseppe Momo’s spiral staircase, and admire iconic Michelangelo frescoes inside the Sistine Chapel. 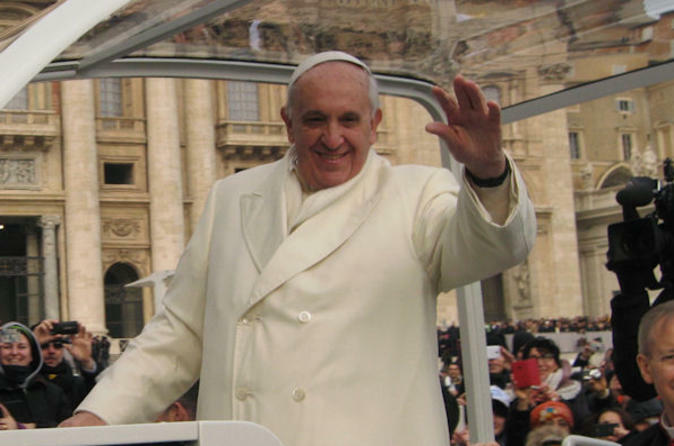 Want to see the Christian sights of Rome, too? Upgrade to a full-day tour to visit the Basilica of Santa Maria Maggiore, Roman catacombs and more. A traditional lunch can also be included. Vatican City’s most comprehensive introduction combining two walking tours to see Michelangelo’s Sistine Chapel, Gallery of Maps, Raphael's Rooms, St. Peter's Basilica and the most important Basilicas of the Vatican including Santa Maria Maggiore, Saint John Lateran and St. Paul, a UNESCO World Heritage Site. 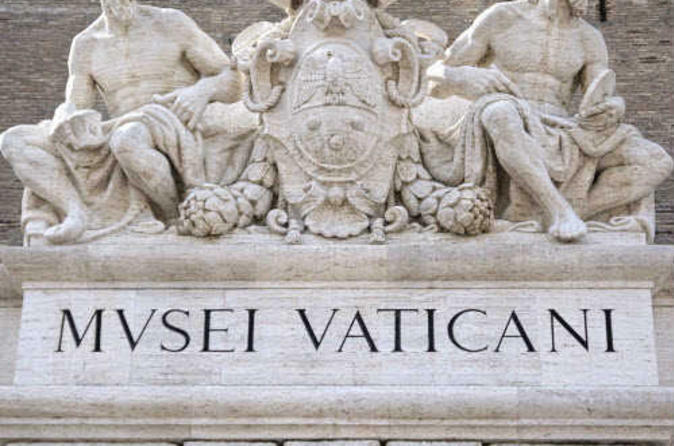 This is the only Vatican City tour that incorporates all of the Basilicas along with the Vatican Museums to ensure you see everything in one single day! 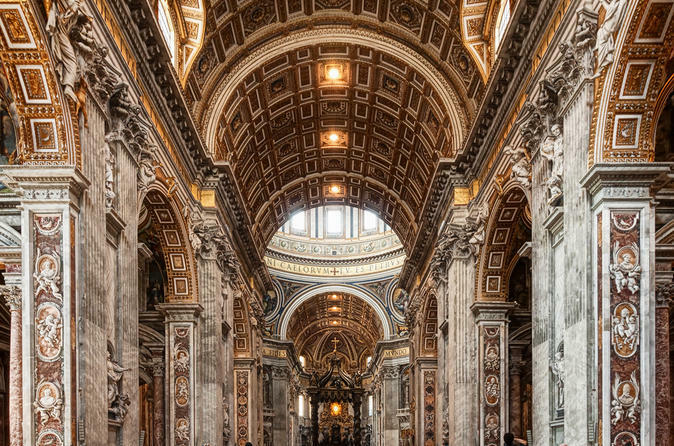 Due to a new Vatican partnership, this tour provides VIP access through a reserved door, allowing you to skip all the lines – even the priority lines. Numbers are also limited to a maximum of 25 people, ensuring you'll receive personalized attention from your guide. 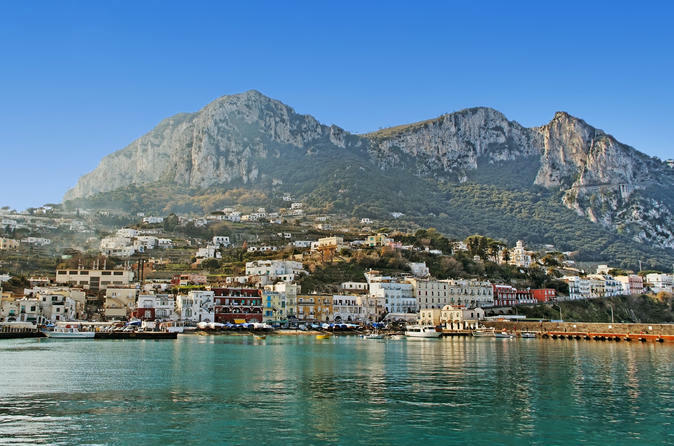 Visit the chic island of Capri on a day trip from Rome, led by an expert local guide! After traveling from Rome to Naples, cross over to the gorgeous island to see its highlights. Hop aboard a boat to the Blue Grotto if you wish, and enjoy a relaxing lunch in the hilltop village of Anacapri. 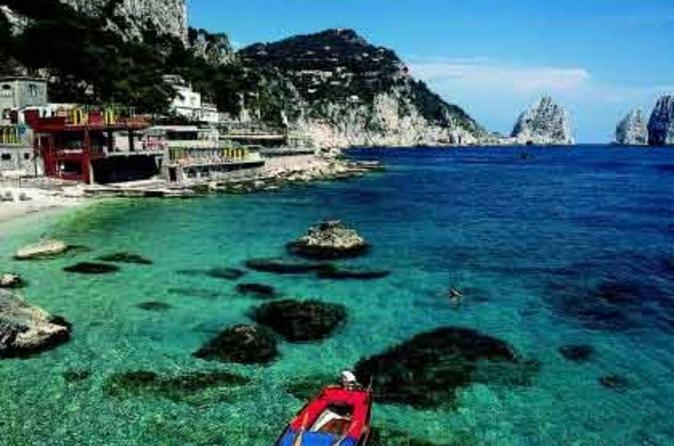 Explore Capri’s main town at leisure, and then leave the island for your journey back to Rome. 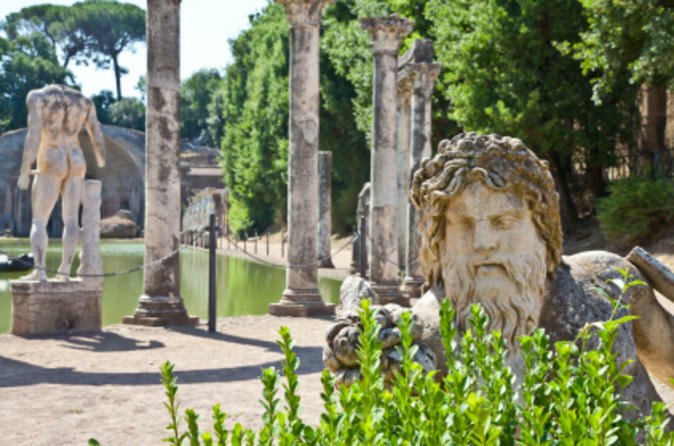 Discover two UNESCO World Heritage Sites, Hadrian’s Villa and Villa d’Este, on a guided full-day trip to Tivoli from Rome. 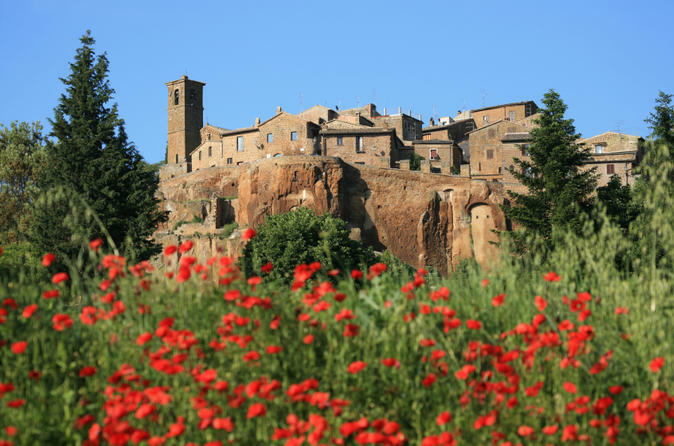 You’ll learn interesting Renaissance history, discover awe-inspiring archaeological ruins and admire elaborate gardens and dazzling fountains on a trip that’s sure to be as memorable as it is captivating. 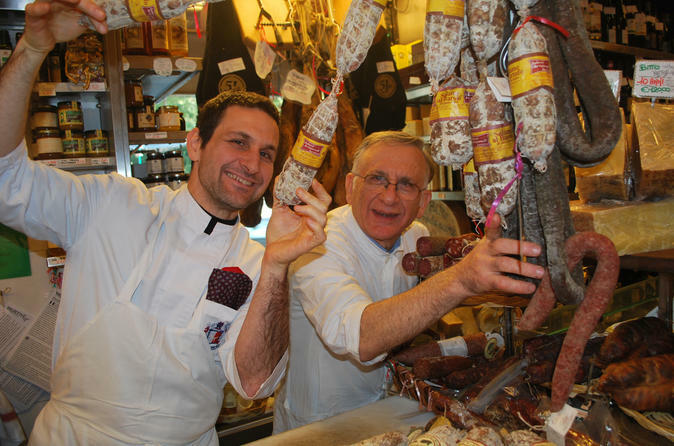 Find the best food spots in town on a 4-hour Rome Food Walking Tour! Led by a local food-loving guide, your tour includes nine regional food tastings as you explore Rome's foodie neighborhood -- Testaccio. Meet colorful traders at a gourmet market and hear recipe secrets from the people behind Rome's oldest food traditions. Sample gelato at Rome's oldest gelateria, taste fresh pasta in an award-winning trattoria, relax with wine and more -- a must-do culinary experience in Rome! 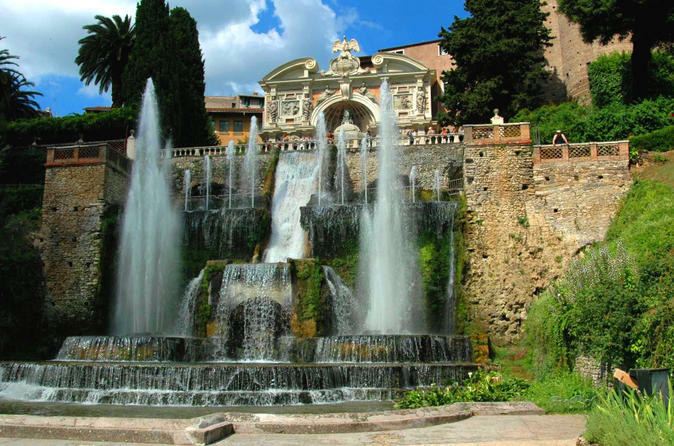 Visit Tivoli on a half-day trip from Rome and explore its two UNESCO-listed villas – Hadrian’s Villa and Villa d’Este – with an expert guide. Have your camera ready to capture incredible ruins, gardens and fountains while learning about the extravagant tastes of the emperors and cardinals who once lived there. 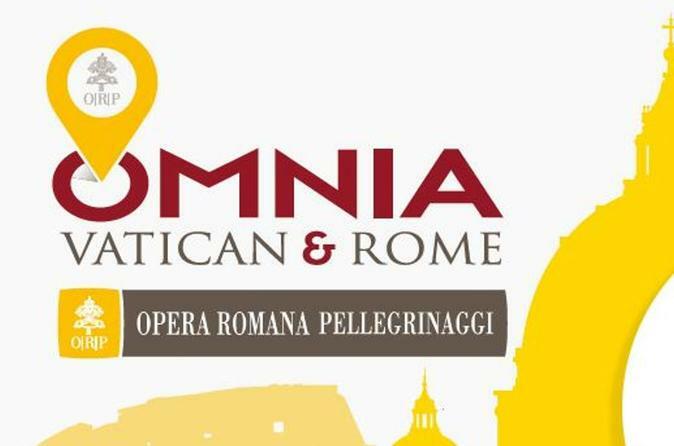 Explore Rome and Vatican City at ease with the Rome Card and Omnia Vatican card – two must-have 3-day sightseeing passes that include entry to selected attractions, discounts and more. Enjoy skip-the-line entry to the Vatican Museums, Sistine Chapel and St Peter’s Basilica with the Omnia Card, and use the Rome Card for entry to two out of five possible attractions such as the Colosseum. Other features of the Rome Card include a hop-on hop-off bus ticket, a central Rome travelcard, guidebook and map. Visit Florence on day trip from Rome and see its top attractions with an expert guide at your side! Start with a guided tour of the incredible Accademia Gallery, seeing Michelangelo’s ‘David’ and Botticelli’s ‘Madonna and Child,’ and then explore the city on a comprehensive walking tour. 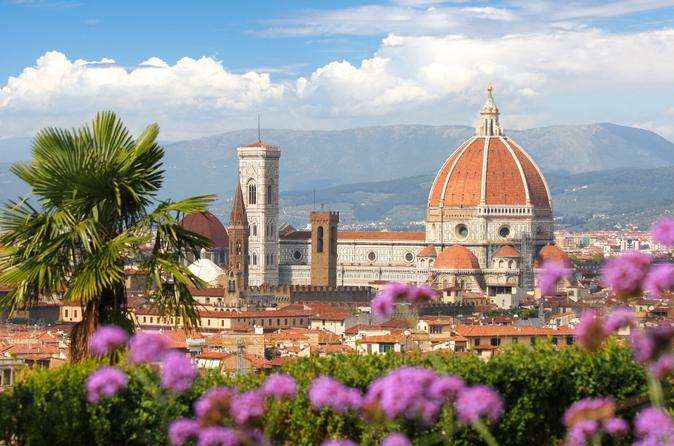 Gaze in awe at Brunelleschi’s Dome at Florence Duomo and then finish your time in Florence with a visit to one of its legendary leather-making schools to see a time-honored craft in action. 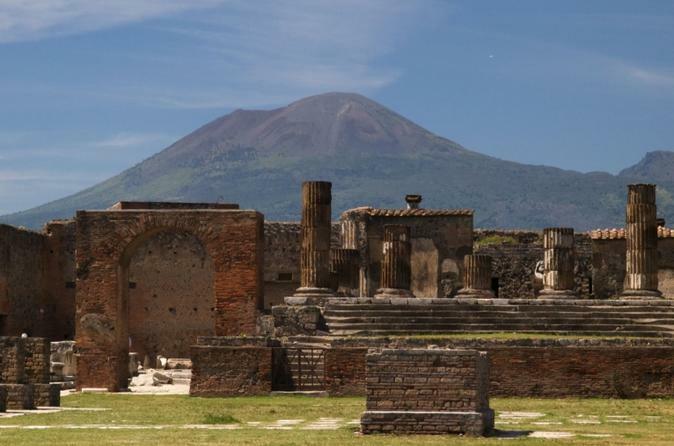 Discover the UNESCO World Heritage site of Pompeii on this 12-hour independent tour from Rome and enjoy hassle-free round-trip travel by air-conditioned coach. A great way to arrange your do-it-yourself tour of Pompeii, this simple round-trip shuttle service takes you from central Rome right to the heart of ancient Pompeii. Travel in comfort and explore independently, or upgrade your tour to include access to Pompeii’s excavations and a 2-hour guided tour. 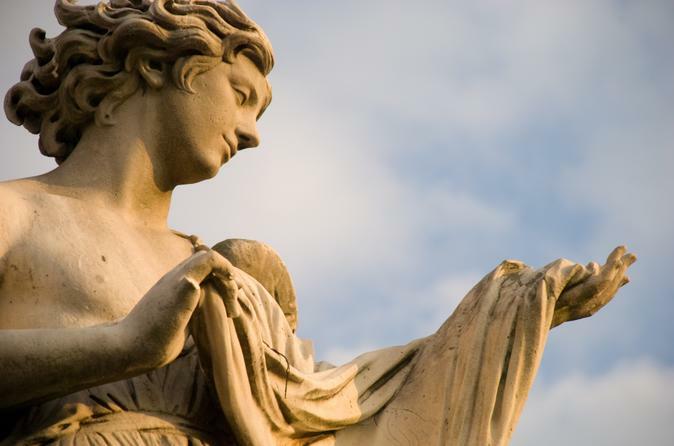 Explore the heart of Italy’s ancient capital and hear tales of myth and legend on this 1.5-hour ghost and mystery walking tour of Rome. When the sun sets, a darker and more mysterious side of the city comes to life. Make your way along winding alleyways and through ancient squares in Rome’s age-old center, and listen as your guide regales you with enthralling historical and supernatural mysteries. 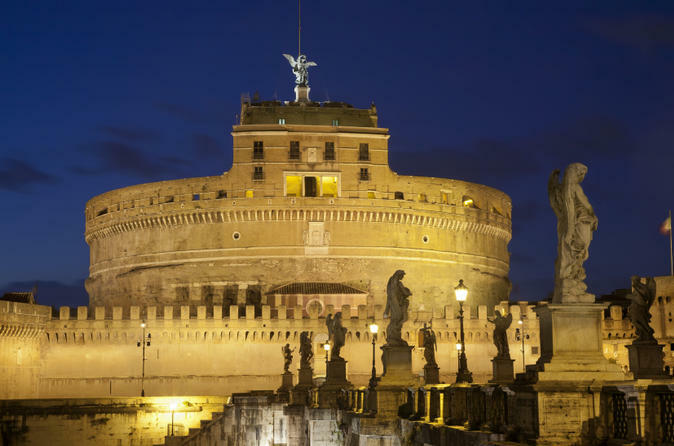 Discover highlights such as the Ponte Sisto, Palazzo Farnese and the Castel Sant'Angelo illuminated at night. 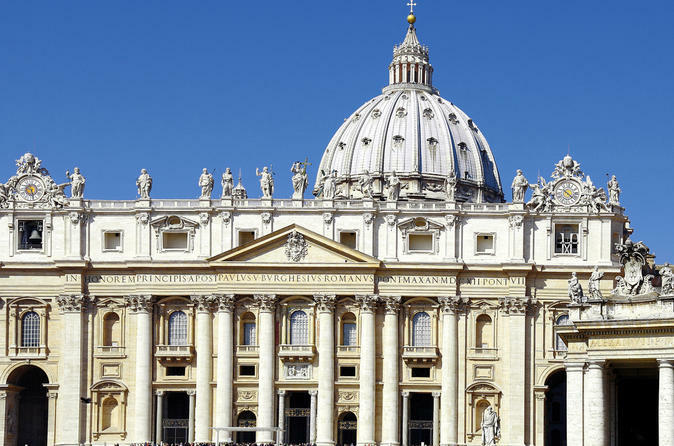 Start your day at the Vatican with a lavish buffet breakfast in the Pinecone Courtyard, followed by a small-group tour (limited to 16) of the Vatican Museums before they open to the general public. See highlights such as Raphael’s Rooms and the Sistine Chapel before heading inside St Peter’s Basilica though a reserved entranceway to beat any crowds. 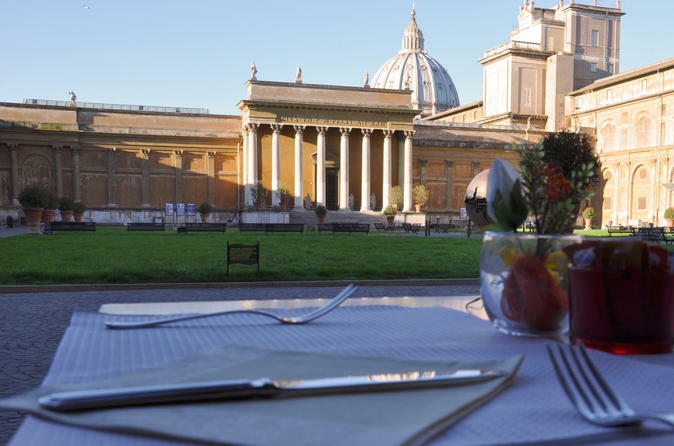 Alternatively, select the Vatican Gardens breakfast option, limited to 25 people, which, in addition to the Museums tour, includes a coach tour of Vatican City and the gardens, typically closed to the public. No matter which option you choose, you'll see the Vatican's incredible artwork with personalized attention from a guide. If you want to visit the Borghese Gallery in Rome at your leisure, without a guide, but don't want to wait in the entrance queue, book this skip-the-line ticket to ensure your admission (tickets regularly sell out a month in advance!). You'll enjoy fast, hassle-free entry to this renowned art gallery, which is home to a collection of masterpieces by artists like Caravaggio, Rubens and Bernini. If you would prefer to explore the gallery with a guide, just upgrade to the guided tour option when booking. Visit the Sistine Chapel 30 minutes before the doors are opened to the public, and see its Renaissance treasures without the crowds! After gazing in wonder at Michelangelo’s ‘The Last Judgement’ fresco and other astounding works of art, head inside the Vatican Museums, bypassing all the entrance lines outside. Then, spend as long as you want inside, exploring independently with a map and seeing highlights like Raphael’s Rooms and more. 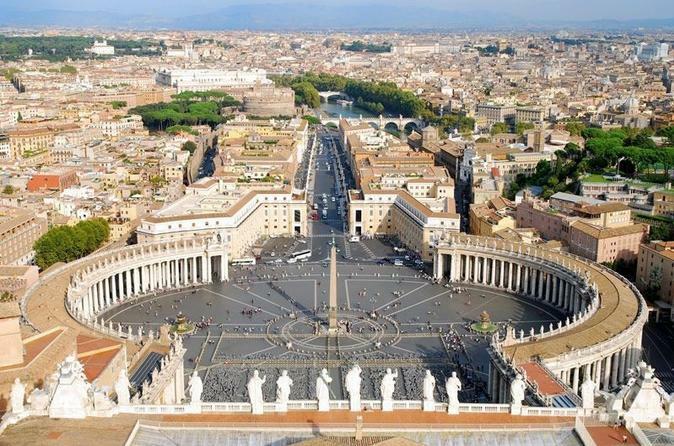 See the Vatican like a VIP with a once-in-a-lifetime private Sistine Chapel viewing and tour of the Vatican Museum’s secret rooms. The small-group tour gives unprecedented access to rooms that are usually off-limits to the public. Skip all the lines to see secret spots like the Room of Gold plus classic sites like Raphael’s Rooms, and end with a Sistine Chapel after-hours visit — just for your group of 15 people. 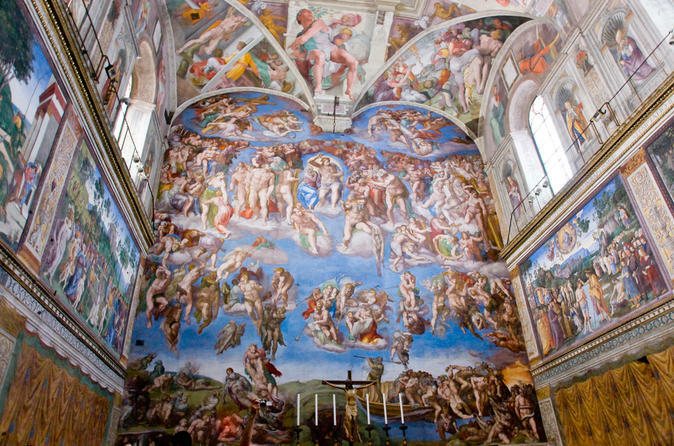 It’s a great way to see Michelangelo’s “The Creation of Adam” fresco minus the crowds and earn bragging rights for life. 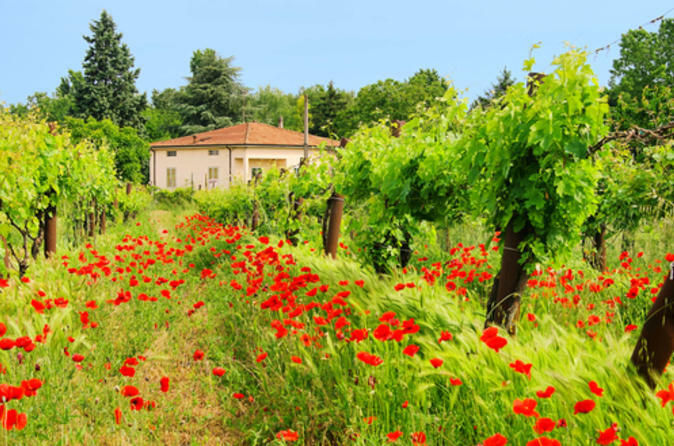 Explore Italy’s scandalously beautiful Campania region on a 3-day southern Italy tour from Rome, with 4-star hotel accommodation in Sorrento included. After seeing the big, bold and brash city of Naples by coach, explore the UNESCO-listed ruins of ancient Pompeii and then hit the Amalfi Coast. Cruise to Capri to see its fabled Blue Grotto (summer only), and then spend your final morning at leisure, soaking up the sun in Sorrento. See Ancient Rome and the Colosseum by night on this exciting 2.5-hour evening tour, led by an expert local guide! Hear little-known facts about the Roman Forum’s ruins as you look at it from a vantage point at Piazza del Campidoglio, and then gain rare access to the Colosseum after dark, walking around its arena floor and underground chambers. Taking place when the city’s daytime crowds have dispersed and the balmy temperature has dropped, your tour is perfectly timed to see these word-class monuments at their bedazzling best. Numbers are limited to 25 on this small-group tour ensuring you’ll see these top Rome attractions with personalized attention from your guide. 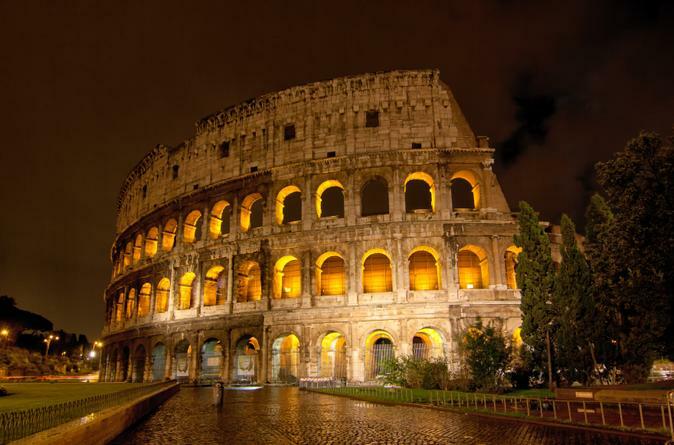 Step back in time to the days of the Roman Empire on this 3-hour walking tour of Rome by night. Discover top city attractions such as the Trevi Fountain, Piazza Navona and the Pantheon. Wander beneath Ancient Roman ruins at the Forum on Capitoline Hill, and marvel at the mighty Colosseum. The perfect pre-dinner activity, this 3-hour guided walking tour is the ideal introduction to Rome's famous sights and nighttime ambiance. Experience the romance and beauty of Rome as the sun sets and the evening lights illuminate the city.